Why is the best Taiwanese food so brown? From beef noodle soup to three cup chicken, its the food colour favourite of many classic Taiwanese dishes. For a few weeks this restaurant opened as Co V Vietnamese serving up pho and summer rolls in a green coloured shop front. Then overnight it changed countries and colour schemes and went Taiwanese with bright red signage. Whatever works we say, better than closing down. (A shout out to Uni Thai who was in this spot years ago, their chicken with explody hot chili paste was awesome). 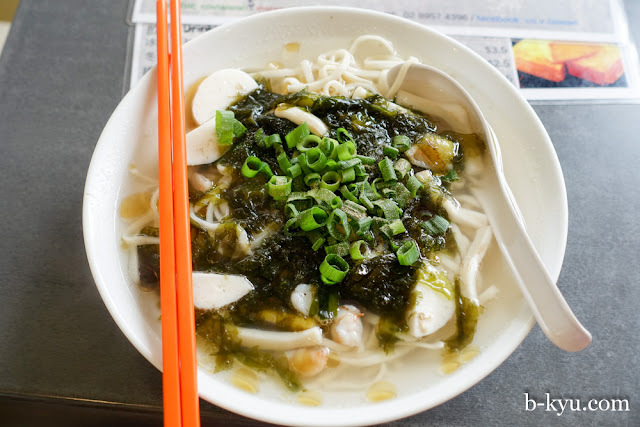 Shawn reckons Taiwan has the best street food of any place we've visited, with a caveat. You may find more instant 'wow' on the streets of Malaysia for example, but dishes like char kway tiao and roti canai are serious heart attack material, it's occasional food. 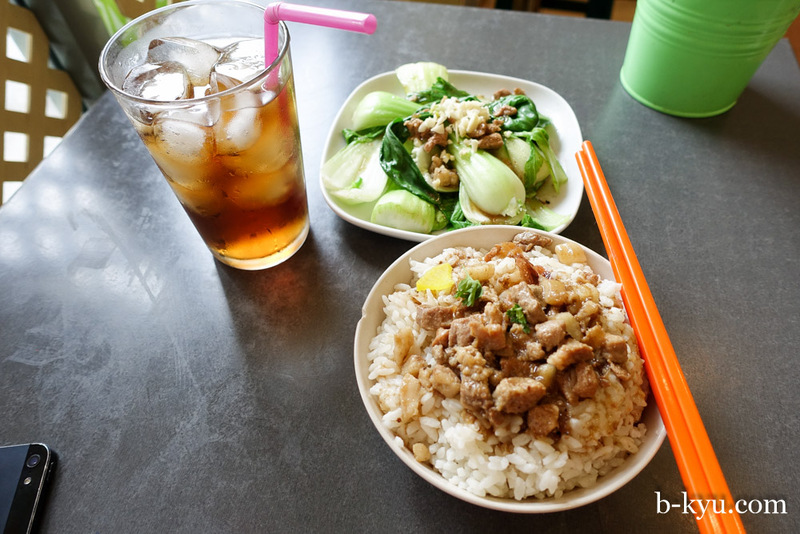 Taiwan's street food is much more of an everyday thing, it's fairly easy to eat healthy. Sure you can gorge on deep fried chicken and Oreos, but there's also plenty of clean life affirming simple soups, oden everywhere, straight up protein and even (gasp) veggies. And it's everywhere. Street vendors are being pushed off the streets in most countries, yet in Taiwan street food seems entrenched, part of the culture and the very fabric of life. The bummer is that some of the yummiest Taiwanese food isn't particularly photogenic, often quite brown. We travelled three weeks in Taiwan and still didn't come close to trying all the food we wanted to. That's why we're so excited every time a new Taiwanese joint opens, there's so much to try, and every Taiwanese restaurant is different. Co V Tastes of Taiwanese cooks a bunch of the usual suspects and throws a few surprises into the menu. Shawn was particularly enamoured with the very plain noodle soups, getting a clear simple noodle soup just right is harder than some folks may think, an art we've come to appreciate over the years. Danzi noodle soup - $10.90. A thin vermicilli noodle and a simple broth soup with a smattering of tasty morsels on top. Prawns, boiled egg, greens, cubes of pork, chunks of fresh garlic and chopped basil and a good sprinkle of white pepper bring it all together. Taiwanese beef noodle soup 11.50. 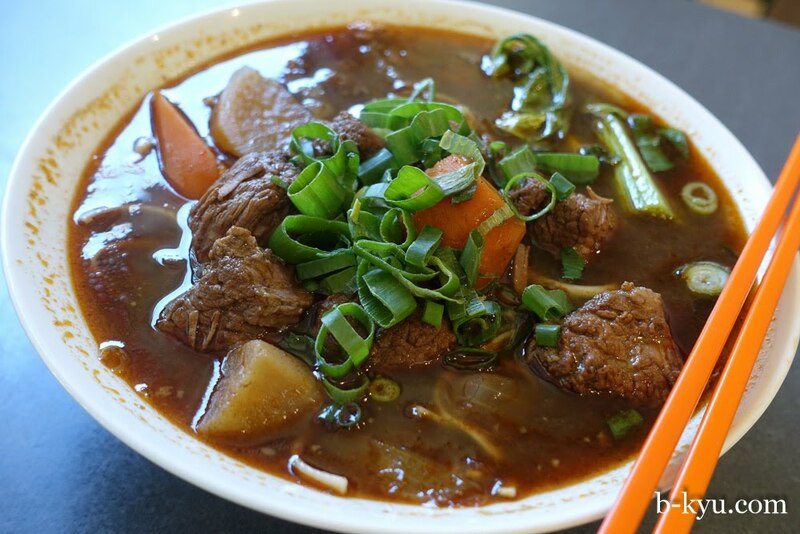 Taiwanese beef noodle soup is different every time, this version is a thick and hearty beauty. A rich broth with big chunks of beef, carrot and radish. The soft veggies and thick broth make this soup like a stew. Taiwanese cold noodle - $9.90. 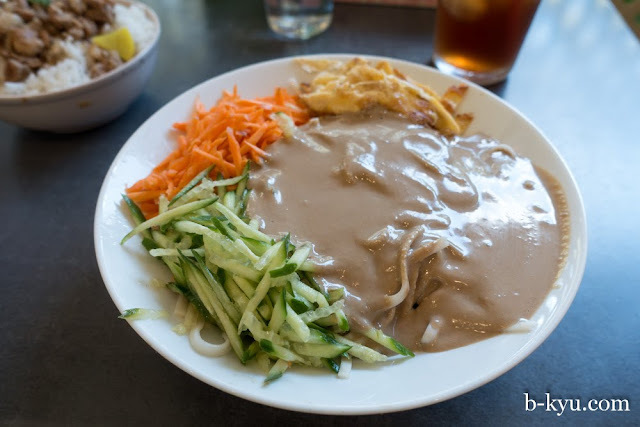 - thin flat white noodles with fresh slivers of veg and omelette smothered in a thick sauce tasting of sesame, like a sweet mild tahini. Refreshing on a hot day and surprisingly very filling. Crispy tofu - $7. 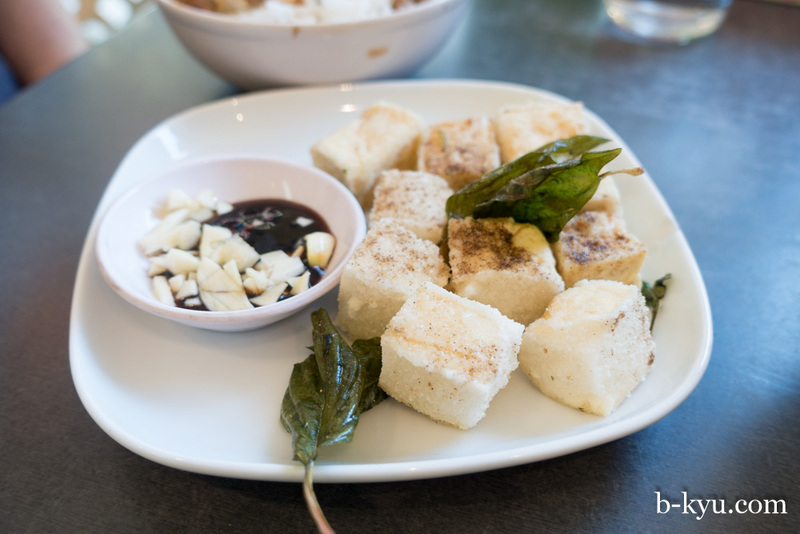 deep fried cubes of soft tofu in a very light batter dusted with plum powder. The hoisin sauce and fresh chopped garlic over powered the subtle flavours of the tofu, but the deep fried basil leaves are a work of art. Seafood seaweed noodle soup - $12. If you're in the mood for a big, plain, cleansing soup then this is a beauty. A clear broth flavoured with seaweed, with flat white noodles and some chunks of prawn, squid and fishcake. Sanpei chicken - $8.50 (small). 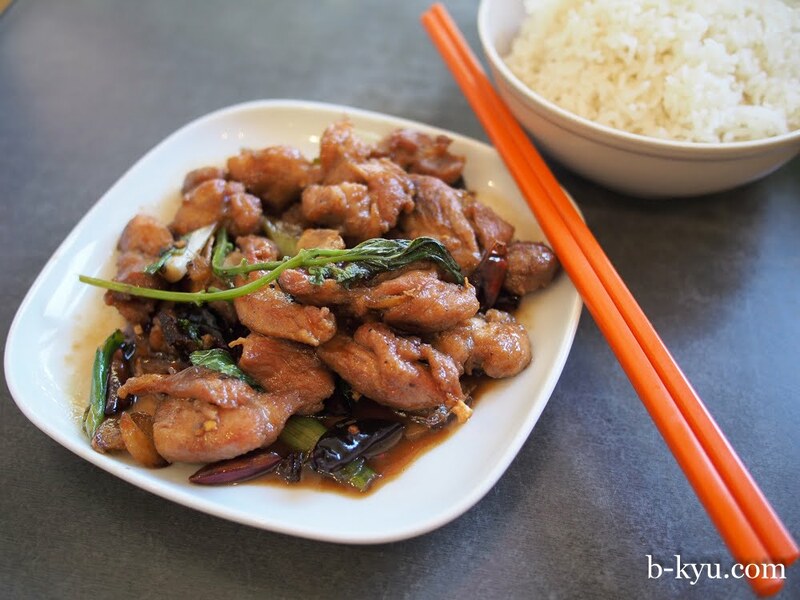 A hugely popular dish in Taiwan, also known as three-cup chicken as it is made of equal parts soy sauce, rice wine and sesame oil, given some extra oomph with garlic, roasted chili and basil. A small serve with some rice is plenty enough for lunch, especially with those strong flavours. 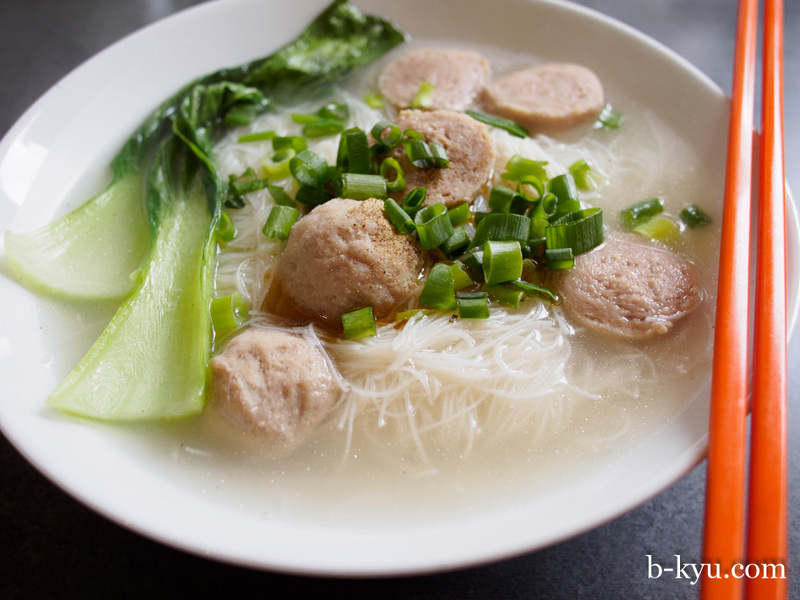 Mushroom meatballs noodle soup - $10.50. A really plain noodle soup that is perfect when you're in the mood for it, it certainly fixed a hangover. A clear, subtle broth with thin noodles and decorative greens, with a few balls of mystery meat on top. We're not sure what relationship the meatballs have with mushrooms, but they taste great, kinda like Indonesian bakso. COV Tastes of Taiwan is at 281 Parramatta Rd, Glebe, or thereabouts. A few doors down from the corner of Parammatta and Glebe Point Road. cov-glebe.com.au. Incidentally the Eat Falafel joint a couple doors down is good for a lunchtime quicky, the chili falafel roll is a five dollar favourite of ours. And Nest Alterations will take up your pants for only nine bucks. What a strip of glory! Thank you very much for visiting! We really appreciate your time and efforts to put this together! Make sure you say hello to us on your next visit! I can't wait to write up about my Taiwan eats, we were stuffed to the brim every night!